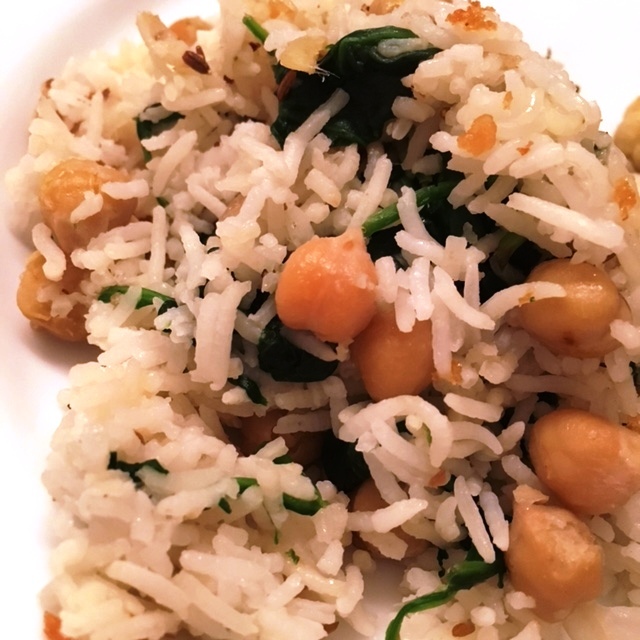 Great, easy side rice dish. Since spinach wilts down to almost nothing, I used almost 10 cups of spinach instead of 4. I cooked it separately to keep the rice from being too wet. Added garlic and red pepper. Will try cannellini beans instead of chickpeas next time!